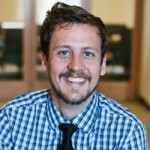 Seth Monteith joined the Advisory & Research Team at ClimateWorks in 2013. He works on developing the core products and sets of insights that make up the ClimateWorks Global View. This includes downscaling energy-climate models for examining low-carbon pathways, analyzing GHG mitigation policies, evaluating philanthropic portfolios, and designing and managing research projects including the Carbon Transparency Initiative (CTI). Seth also designs data visualizations for the many Advisory & Research Team products.